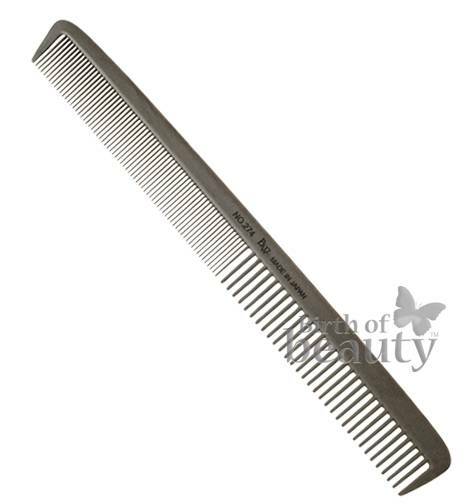 Carbon Comb is completely anti-static, so it does not tangle the hair. Is heat resistant, can be sterilised by boiling and used with a dryer. Teeth are incredibly smooth so they glide through the hair.